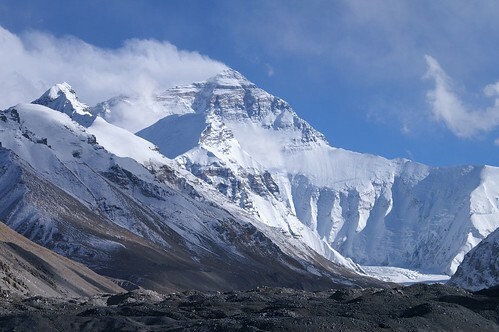 Mount Everest boasts events which have inspired awe the world over spanning more than 150 years. Only a handful of summits over six of those 15 decades have been successful. Here are the top five most memorable Everest moments. Although officially announced and named in 1856, the mountain had been discovered during the Trigonometric Survey of India in the 1850s. Radhanath Sickdhar, an Indian mathematician, determined its height to be 29,002 feet (now amended to 29,029 feet). It was named for the Surveyor General of India, Colonel Sir George Everest. The Beekeeper is Sir Edmund Hillary of New Zealand; his Sherpa for the amazing journey, Tensing Norgay. These two brave men were the first to reach the summit of Everest. They accomplished this amazing feat on May 29, 1953. A little known fact is that two other men dared the climb two days earlier, and missed reaching the summit by a mere 300 feet. Tom Bourdillon and Charles Evans—two British climbers in Hillary’s party—were simply too low on Oxygen to make it. They did, however, break the trail and stash spare O2 as they went. This made it possible for the famous Beekeeper and Sherpa team to reach the summit. America funded a large south-side expedition to reach the summit in 1963. A smaller team split from the group and headed to the West Ridge of Everest, a discouragingly steep and serrated knife-like edge. Many thought the West Ridge was simply impossible to climb with its hurricane-force winds and precariously fragile shale. Two American men, Tom Hornbein and Willi Unsoeld, braved the conditions and, after experiencing a few nearly-lethal incidents, scrambled over the summit. They descended down the Southeast side. In 1970, Yuichiro Miura, a Japanese alpine racer, was able to ski part of Everest. He started at 27,000 feet (2,029 feet below the summit) equipped with a parachute. It wasn’t until 30 years later—October 7, 2000—when a Slovenian man named Davorin “Davo” Karnicar, 38, would ski Everest from the summit. His slide-slipping and schussing journey lasted five hours ending at Base Camp on the south side. Many of the memorable moments of Everest happened at the top. This particular one is an accomplishment much closer to sea level; Base Camp. A Bozeman, Montana volunteer, Luanne Freer, founded the first clinic on Everest. Not only does the ER at Base Camp provide emergency medical care and save lives, but it also offers a place where people can get medical assistance, socialize, or enjoy a nice mug of hot tea. This article was written by JustRopes.com the online leader in climbing rope. This entry was posted in Other and tagged climbing, Davorin “Davo” Karnicar, everest, Extreme Sports, extreme sports enthusiasts, mount everest, nature, outdoors, Sir Edmund Hillary, sports and leisure, Sports Archives, Tom Hornbein, Willi Unsoeld, Yuichiro Miura. Bookmark the permalink.